No, we still don’t know when Death Stranding will be released. It could be coming out in 2024, for all we know. But that doesn’t mean development isn’t going along smoothly. In fact, it’s apparently right on track, as according to Hideo Kojima himself, the release date hasn’t changed. During a panel at Tokyo Game Show 2018, Kojima talked about his mysterious new title. His statement on the release date was short but telling. All he said was, “The release date for Death Stranding hasn’t changed… yet. Please wait a bit more for it. Thanks.” Still, those few sentences may reveal more than it may appear. First off, is that Kojima may have a release date in mind for Death Stranding. It may not be a set in stone release date, but rather a goalpost for the development team. 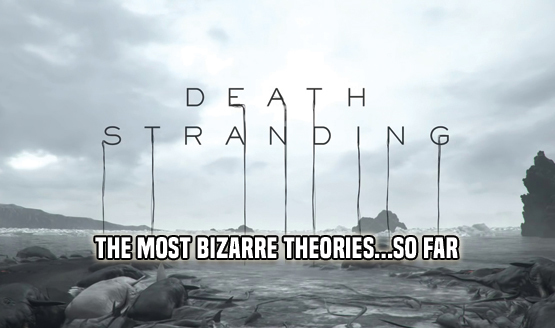 That offers the possibility that Death Stranding may be farther along than one may think. There’s also the “wait a bit more” part of Kojima’s statement. It may be wishful thinking, but Death Stranding is apparently making progress at a rapid pace. There are rumblings that it will make an appearance at The Game Awards 2018, so could we possibly see a release date announcement there? More information about Death Stranding has been brought to us recently. We just saw Troy Baker’s character at TGS 2018, though we don’t know exactly who (or what) his character is. While Death Stranding’s actual release date remains a mystery, we do know it will be a PlayStation 4 exclusive. Here’s hoping we learn more about it soon.